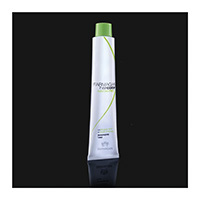 - Extracts of Bamboo : antioxidant and nourishing. CHOCOLATE FASHION (Coffee, Dark Chocolate, Chocolate, Praline, Caramel, super dark chocolate brown, Light brown dark chocolate, cocoa Dark Blonde, Blonde hazel), SAND BEIGE (Beige Medium Blonde, Light Blonde Beige Blonde very light beige, beige platinum Blonde clear, dark golden blond cen. sandy blond medium golden center. sandy blond light golden center. sandy, Blonde clear golden center. sandy), SUPERLIGHTENERS (Super extra lightening natural, lightening Super gilt extra, Super lightening extra sand, ashes Super lightening extra), Jolly (Jolly pearl antigiallo, Jolly neutral). method of use : in a non-metallic bowl stir until the mixture is creamy and smooth, FARMAGAN HAIR COLOR with Oxy Ready Performance oxidizing emulsion at 10-20-30-40 volumes to the extent 1 part cream colorant and 1.5 oxidising emulsion. For super lightening cream mix 1 part colorant and 2.5 oxidising emulsion. Important Note : Use immediately prepared coloring mixture.